Crocodile Gold announced today that it closed a Can$85 million bought-deal closing of 81 million units at Can$1.05 per unit. Each unit consists of one common share of the company and one-half of one common share purchase warrant. The syndicate of underwriters was co-led by GMP Securities L.P. and Cormark Securities Inc.
"We are very grateful to our new and existing shareholders for their support of Crocodile Gold during this transitional period and confident that this significant injection of capital will assist in unlocking Crocodile Gold's full potential as a world class gold producer," said Stan Bharti, Chairman of Crocodile Gold. "As per our recent news, we've strengthened our exploration team and are now in a position to accelerate the dewatering and development at Cosmo, expand the mill, establish a power plant and step up our exploration with a view to maximizing production and enhancing profitability." Crocodile Gold, a Canadian company, operates gold mines in the Northern Territory of Australia. The company says that it is currently mining from the Howley open pit mine and the Brocks Creek underground mine, with production to shortly begin at the Princess Louise open pit mine. The company is also currently developing the Cosmo underground mine. 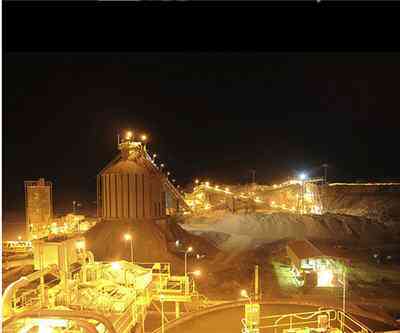 The photo, a picture of Crocodile Gold's Union Reefs Mill, is from the company's website.